The Indian healthcare industry, which is often considered a slow adopter of technology, has come a long way, adopting better equipment and technologies in the past few years. However, there still lies a pool of healthcare institutions and facilities that are yet to automate their processes, and still rely on documentation and manual entry of patient records. 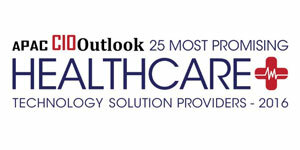 Sensing the opportunity, two US-based doctors Dr. Sunil Manjila and Dr. Gagandeep Singh, collaborated and formed Manjila and Singh Innotech (MASIT) to bring the best of automation, specifically Electronic Medical Records (EMR) to improve operational efficiencies of healthcare institutions. MASIT also created a product—MedAlert, this product structures patient data using technologies like voice recognition and natural language processing. This provides meaningful analytics to ease diagnosis and improve patient care. MASIT, with its roots in Kochi, India, spent two years piloting and experimenting to understand the market and made interesting discoveries along the way. In the US, a doctor spends around 40-50 minutes consulting with a patient but Indian physicians allocate only 10 minutes. MASIT devised a system with highly intuitive template model using predictive analysis to help ease treatment process, for the doctors to best utilize their time with the patient. “Currently, the analytics employ-ed by the healthcare system is at the macro level about the health of the population and patient risk assessment which I call after-effect analysis. We wanted to change that and offer more information upfront for doctors to take informed decisions and spend less time on documentation,” says George Vijay, CEO of the company. MASIT intends to collate data from the three major sources—patient, provider (doctor), and payer (insurance company). The company provides reports based on algorithms for doctors to understand, study, and know various treatments for patients. MASIT also aids hospitals in guiding population-based details about disease outbreaks, bed utilization, and so on. Yet another painpoint for hospitals is pilferage. MASIT manages to eradicate this problem through its inventory management solution. The company was able to double the sales of a hospital’s pharmacy to 1.2 million by implementing the solution. MASIT helped yet another hospital by deploying Medalert to give insights that result in increased revenue. It assured the hospital of numerous other benefits including unified record management. All the details of a patient’s history and prescribed medicines are made available to the doctors through a unified record enhancing patient care and thereby satisfaction. All this, however is only the first phase of growth for the company, as it has just launched these services. The company envisages a second stage of growth where it automates and integrates with equipment in hospitals, diagnostic centers, and labs. It is in talks with electronics major, General Electric to develop solutions which help them interface with medical equipment. MASIT also intends to integrate patient records with Aadhar card, the Indian version of a Social Security Number, to provide easy access to basic healthcare data. The third phase is an ambitious plan to leverage the wearable devices to closely monitor patient’s vital signs, be it heart rate or blood pressure. It also intends to launch a mobile app to remind the patients to take medicines and alert the doctors when they miss a dose. Considering the pace at which MASIT is growing, it is expected to attain immense growth within a short span of time. At present, the company already maintains records of a million patients, a figure expected to reach 10 million in the next three years and 100 million in the next five years. MASIT also has plans to expand geographically. It currently focuses on Indian and the Middle Eastern markets, but has plans to expand to Australia, Philippines, Singapore, Indonesia, and Africa.